It seems Microsoft may be aiming to ditch passwords sooner than some may have thought. The company first made their anti-password goals clear back in 2015 with the release of Windows 10 which launched with the "Windows Hello" facial recognition system for logins. In December, the company reaffirmed their intentions, saying the model of securing devices using passwords "needs a makeover." Now, in the latest Windows Insider update preview, the company has called passwords "inconvenient and insecure" while showing off a new authenticator-based login system for Windows 10 S testers. 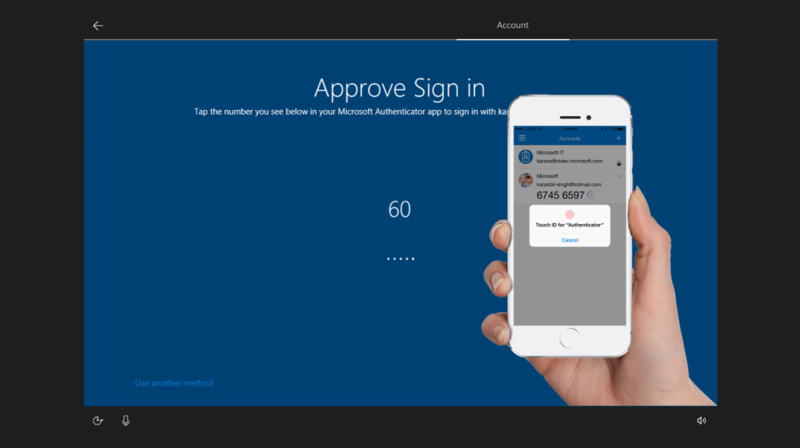 To use the new system, users will simply need to download the Microsoft Authenticator app on their mobile device and integrate it with their Windows 10 S PC. From the images Microsoft has provided so far, it seems like users will then be able to use their fingerprint to approve Windows device sign-ins. The software giant feels so strongly about a password-free future for Windows that they've eliminated them entirely for Insiders who already have Windows Hello set up. However, it's unclear when, or indeed if Microsoft plans to roll out these updates to the greater Windows 10 install base.